For the past few years, the seeds of a budding high school athletic program were planted and cultivated in East Flatbush. The process took plenty of time and energy, but starting this fall sports season, the fruits of those efforts have bloomed. Cristo Rey Brooklyn H.S. has officially joined the local CHSAA. 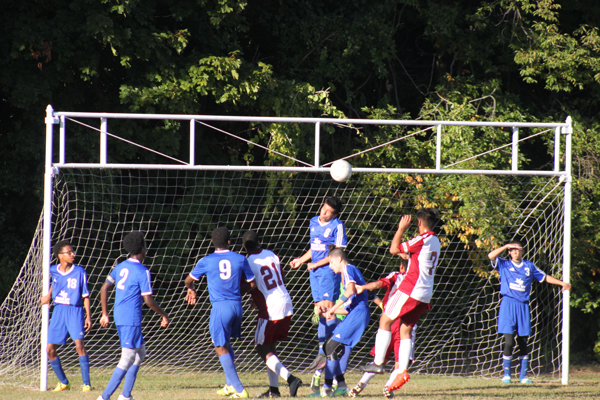 Teams are competing in the league this fall in boys’ soccer, girls’ volleyball and boys’ and girls’ cross-country. Girls’ varsity basketball, boys’ junior varsity basketball, boys’ and girls’ winter track, softball and boys’ and girls’ spring track are all slated to join the league later in the school year. The jump to the CHSAA began last fall, when athletic director Matt Kenny proposed the move to the school’s principal and president. The timing seemed just right, since the sports teams were experiencing a boom in interest. 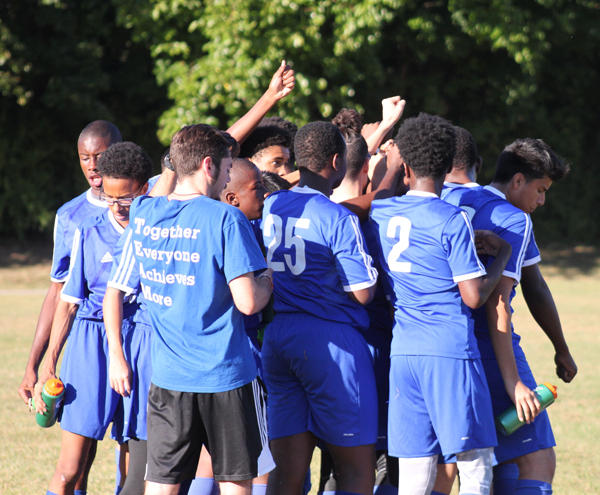 “Right now, we honestly have a lot of good coaches, so just the fact that we have so many quality coaches, they really know they’re doing, they’re passionate and they’re committed,” said Kenny, who is also the boys’ soccer head coach. Cristo Rey Brooklyn is in a unique position when it comes to sports. Each student works a job one day per week as part of the Corporate Work Study Program to help subsidize tuition. While work and of course schoolwork trump athletics, the dedication the student-athletes have shown in transitioning to the CHSAA has been unmatched. There have been plenty of new experiences so far for the student-athletes, but they are adjusting in stride. Rome wasn’t built in a day, and neither is a high school athletics program. “This year, we are focusing on consistency,” said girls’ volleyball head coach Yasmine Daniels. “I realize that it may be unreasonable to expect all of the girls to learn everything there is to know about volleyball in just one season. For boys’ soccer, the players that helped establish the program three years ago are now seniors. The team began playing in the charter school league, which featured seven-on-seven co-ed games being played on rooftops throughout the city. These players realize just how far they have come in a short time, now playing full 11-on-11 games on actual fields. Right now, the focus is not winning league championships but instead establishing a foothold within the CHSAA. With small steps, the teams will be well on their way to achieving their long-term goals. Patience is a virtue within all walks of life – especially high school sports. So as long as Cristo Rey Brooklyn continues to trust the process, the CHSAA will have another force to be reckoned with in the local sports scene.